MSM (also known as methylsulfonylmethane) is a sulphur compound. Sulphur is essential for normal functioning of the body’s growth and repair mechanisms. Sulphur from MSM powder (often referred to as the miracle supplement) is especially important to the cellular structure of hair, nails, skin and connective tissues as well as playing an important role in the formation of collagen, B vitamins and amino acids. Sulphur also helps support immune system function. As a leading manufacturer of dietary supplements in NZ, we bring you the best buy on pure MSM powder. Our large purchasing size means that we can get the best deals from international manufacturers. As we sell our own brands, we can pass this saving straight on to you! Our MSM supplement is certified as 99.7% pure and contains no artificial additives, flavorings or preservatives. Nutritionally supporting tissues with additional sulphur in the form of safe, natural and bioavailable MSM benefits may include helping bring back some normal healthy bounce, elasticity and resilience to your connective tissues including cartilage, ligaments, tendons, vascular tissues, skin, hair and nails. Research has also shown that MSM powder helps support the body’s natural ability to manage pain and inflammation, making it useful in situations such as joint pain and inflammatory skin afflictions. MSM is a compound that is obtained during the rain cycle of our planet and is present in many natural unprocessed foods. However, this nutrient is lost during cooking due to high temperatures. Recent research has shown MSM to be an effective anti-aging agent and not only that, it has numerous other benefits as well, some of which we will be discussing so read on to find out more about the health benefits of MSM. Collagen is the main structural protein of the numerous connective tissues in the human body. In order for your body to maintain and produce more collagen, it requires MSM. Loss of collagen is the main reason for wrinkly and saggy skin as well as cracked and dry skin. Collagen is responsible for working with Vitamin C to build and renew healthy tissues. MSM is vital for collagen normalization and for improving overall skin health. Because of its collagen-producing and reinforcing properties, MSM is highly effective in improving joint tissue production. Moreover, it also facilitates growth of muscle tissues and flexible skin, leading to an overall better body flexibility. In mechanical terms, it lubricates the joint tissues and prevents them from wear and tear or rusting. You may have heard how detoxifying the body can help in ailment prevention and MSM is great at it. It makes your cells more permeable, meaning that it also contributes to the opening of gateways through your cells to allow easy flow of metabolic wastes and toxins. On the other hand it also facilitates hydration and bringing in essential nutrients throughout the body. Since MSM is a calcium phosphate dissolver, it has the amazing ability of breaking up the bad compounds in your body, preventing degenerative diseases. When it comes to the production of healthy nails and hair, collagen and keratin play the most important role in their development. This makes MSM a bonafide beauty mineral as it provides the necessary compound that spurs in the production of keratin and collagen, aka sulphur. If used consistently for two to three weeks, it can contribute a lot by giving exceptional strength and thickness to your hair and nails. MSM is helpful in the support and treatment of skin conditions such as Eczema, Dermatitis, Psoriasis, Acne and Dandruff. Build-up of lactic acid in the muscles causes sore muscles and body pain. MSM helps get rid of waste products at the cellular level as it speeds up recovery time. This accelerated healing gives you more energy for getting back on track in less time; this is especially helpful for athletes or people with physically demanding jobs. Because MSM makes your cells more permeable, toxins are easily cleansed from the cells requiring your body to spend less energy for recovery. This ‘energy efficiency’ allows more energy to be available for other activities. Our bodies spend about 70% to 80% of total energy on digestion every day. Due to MSMs nutrient absorption facilitation, the energy required to digest food is greatly reduced. Inflammation is actually the excess weight on the body due to the accumulation of the metabolic waste. The cells of the body get chronically inflamed and retain the by-products of the metabolic process. In order for these toxins to be removed the body requires the presence of sulphur. By removing these by-products from the body the cells can easily dispose of the fluids that had been stored in excess. This results in a natural and quite effective reduction of inflammation of any body parts. It is best to consume pure quality MSM powder for maximum benefits as low quality MSM will not give you the required beneficial results. We guarantee 99.7% Methylsulfonylmethane purity in our MSM powder. For best results, add a teaspoon of MSM with a natural source of Vitamin C such as lemon or orange juice. 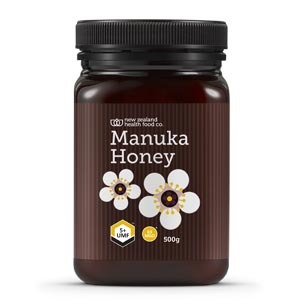 New Zealand Health Food Co. is the leading manufacturer of dietary supplements and you can rest assured that we do not add any artificial flavours, additives or preservatives in our quality products. So give your body the healthy benefits of MSM today. Been using MSM for along time now, its super easy to use and i feel it works great! Great product. Has been a awesome supplement since working out. It really reduces my muscle pain. We would not be without msm. It has given us and numerous friends and family members amazing improvements in our health. We strongly suspect it may have many more benefits than those described here. Building up to 1 or 2 dessertspoons a day has resolved my chronic back pain which I had for 3 years. There are no adverse side effects with msm-only benefits. My husband has cancer and yet now has better day to day health than he did 5 years ago which is not what doctors had predicted for him-google HL MSM protocol. 8 months later and she’s running around like a puppy! We ran out of MSM for about a month and we noticed she really slowed down and was stiff in the mornings (as was I). The powdered MSM and glucosamine is easy to give to animals and humans 🙂 – and I’m convinced that it is that combination that made all the difference to our furkid’s quality of life. For me – I find it really makes a difference to the stiffness and joint pain I suffer – We won’t be without it. Great Product, nice and easy!